On June 20, 1863, West Virginia became the 35th state. Most people think the statehood movement was a result of the majority of those who lived in western Virginia were pro-Union and came out of the decision of Virginia to secede from the Union. Not so at all. The fissure between the “planters” and “mountaineers”, those who lived in eastern Virginia and those who lived in western Virginia started in 1776 with the first state constitution of the Commonwealth of Virginia. That constitution restricted voting rights to persons who were large landowners who mainly lived in eastern Virginia. That restriction stayed on the books until 1850. 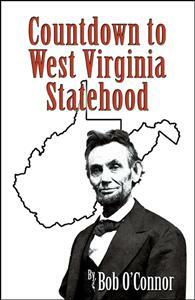 Countdown to West Virginia statehood starts in the beginning and chronicles an amazing and interesting journey. On June 20, 1863, West Virginia became the 35th state. Most people think the statehood movement was a result of the majority of those who lived in western Virginia were pro-Union and came out of the decision of Virginia to secede from the Union. Not so at all. The fissure between the “planters” and “mountaineers”, those who lived in eastern Virginia and those who lived in western Virginia started in 1776 with the first state constitution of the Commonwealth of Virginia. That constitution restricted voting rights to persons who were large landowners who mainly lived in eastern Virginia. That restriction stayed on the books until 1850.